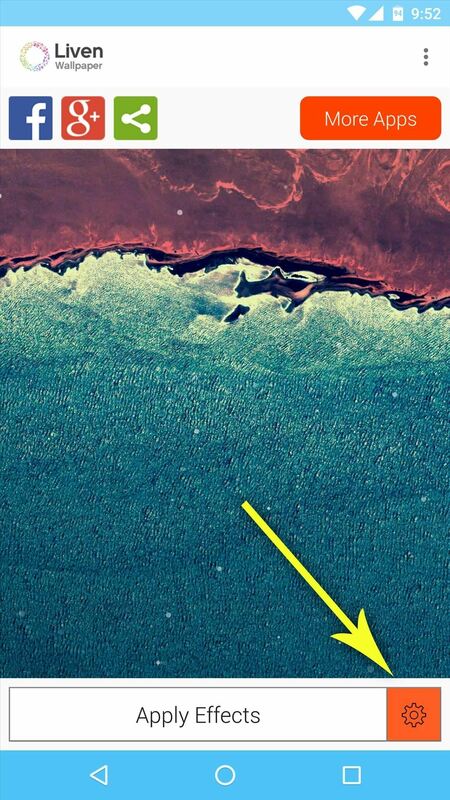 Live wallpapers have dipped in popularity lately, with many users favoring a single, static image as their home screen background. But this is generally due to still photos offering a more sophisticated look, while traditional live wallpapers can sometimes seem a little less avant-garde. But what if we could have the best of both worlds? 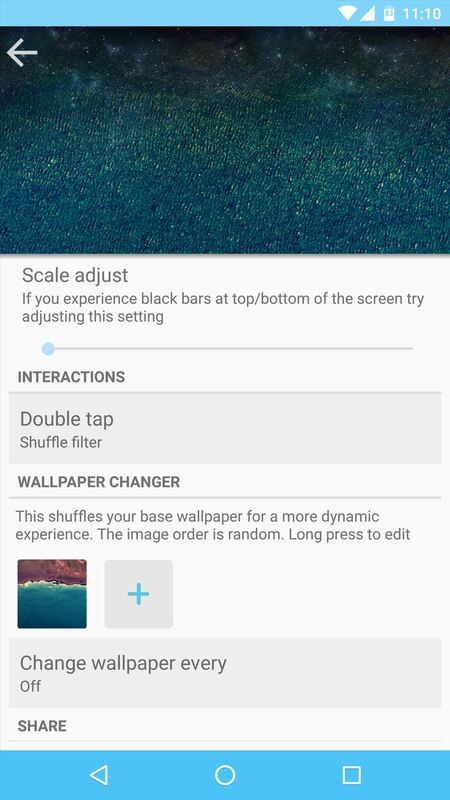 What if there were some way to keep our favorite still photos as our backgrounds, while simultaneously being able to apply time-based filters and subtle animations that you would see in live wallpapers? Well, that's exactly the premise of a new app called Liven, which I'll cover in detail below. A limited free version of Liven is available on the Google Play Store, but to get the full suite of features I'll be discussing below, you'll have to purchase the pro key for $2.49. To begin, simply install the base Liven app, then install the pro key to activate the additional features. With Liven installed, go ahead and open the app, then tap the gear icon in the bottom-right corner to adjust a few options. First up, Liven lets you add daytime and nighttime effects that will kick in automatically at certain times, and each of these will be applied on top of your existing static wallpaper. The daytime features include floating particles, which can be adjusted by selecting your favorite overlay at the top of this menu. 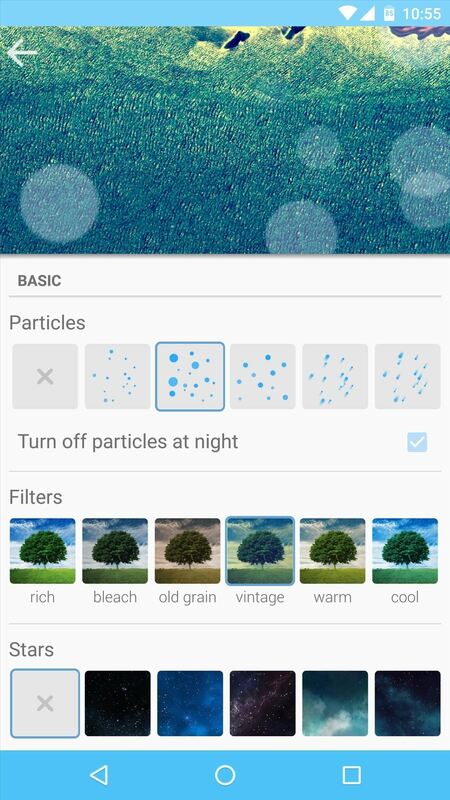 Additionally, you can set the particles to go away at night, and you can choose from several different filters that will adjust the look of your existing static wallpaper. Scroll down a little bit further on this same menu, and you'll see the nighttime effects. 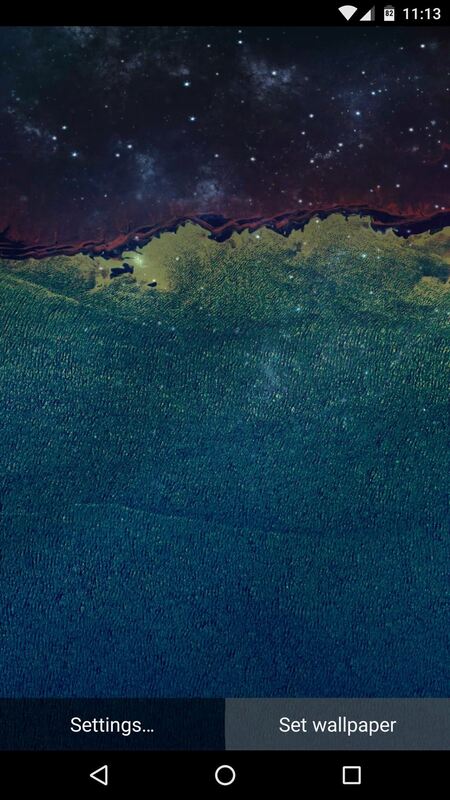 First is a set of star overlays that add subtle galaxy and nebula renderings to your wallpaper, and you can adjust the opacity of this effect with the slider underneath the Stars menu. 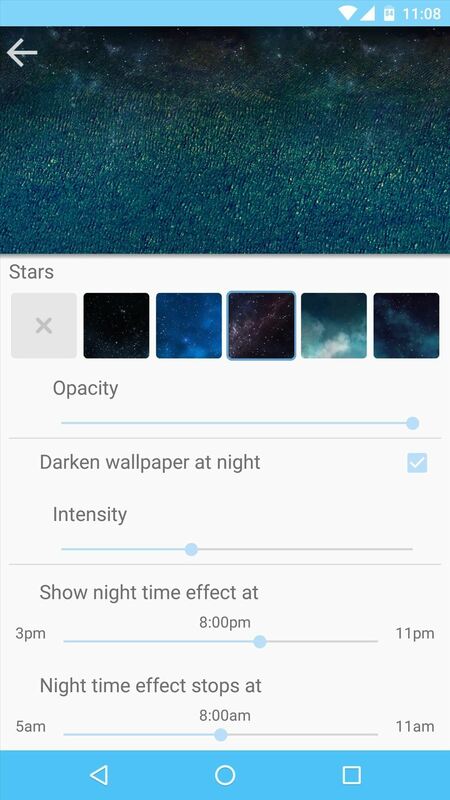 From there, you can have Liven darken your base wallpaper, and you can adjust the intensity of this effect as well. Then, beneath these entries, you can choose when the daytime and night time effects kick in with a pair of sliders. After those entries, there's an option for adjusting the scale of your static wallpaper if you're having issues with black bars. 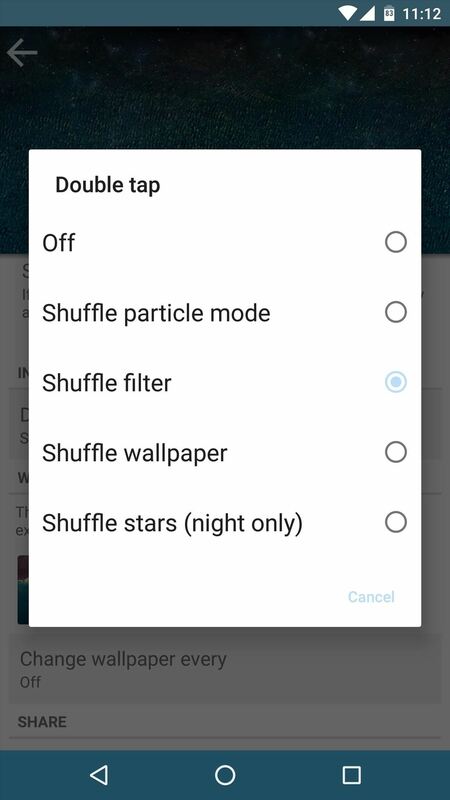 Beneath that, you can change what happens when you double-tap your wallpaper, and the options here let you shuffle between the various filters and effects. Finally, you can even have Liven cycle through a set of still images by tapping the + button beneath the Wallpaper Changer entry, and after you've chosen some pictures, you can set how often you'd like the base background image to change. Once you've got everything set up to your liking, back out to Liven's main menu and press the "Apply Effects" button. From here, you'll be taken to your stock wallpaper picker, so make sure to tap "Set wallpaper" on this screen. From now on, your home screen background will be a beautiful hybrid of static and live wallpapers, and with all of the options available, you can rest assured that your home screen is unique to you. The developers had offered 25 promo codes to Gadget Hacks' members, but they've all been claimed already. Am I supposed to comment here or on twitter/Facebook? Great tutorial great find once again!! Nice app. Would like to receive promo code. cant wait for that premium code. Hope I win the promo code,loved the app! Thanks for commenting everyone! Look for a private message from me in your inbox. 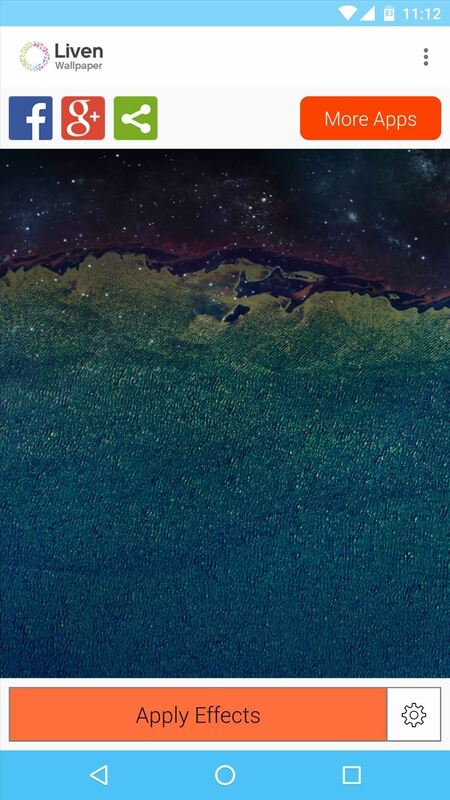 Interesting, I am a sucker for awesome wallpapers! Cool app. I would like to try out the premium features. By far one of my favorite youtube channels!